Miami Marlins pitcher Eric Jokisch cleared waivers, was outrighted to Double-A, then was traded to the Texas Rangers for Pedro Ciriaco. Quite a dizzying day for the lefty pitcher. He was removed from the 40-man roster by the Marlins so he will not need to be added to that of the Rangers. 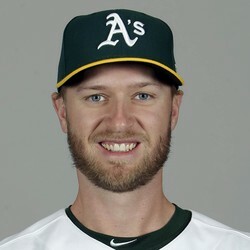 He will continue to pitch in the minor leagues and is unlikely to see a major league mound this season.